With residencies at World Bar and The Wharf Hotel since 2011, Miss Dee continues to be in constant demand. 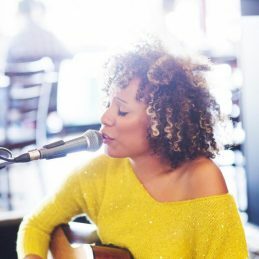 With her huge range of songs and her infectious presence, Miss Dee provides a wonderful vibe and first class musical performance whenever and where-ever she plays. Miss Dee can also work in larger format bands including Keyboards, percussion, Saxophone/Guitar and more to provide a larger sound for events. Miss Dee recently performed for the World Champion Australian Cricket Team’s winning party with Sammy Sax. Miss Dee is also able to perform as a DJ for weddings and events.